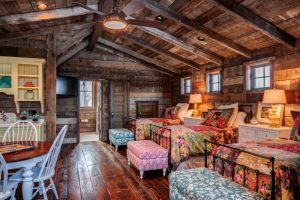 A traditional look usually gives comfortable and familiar vibe and that’s exactly what people try to accomplish in decorating their room in farmhouse style. They want the warmth in the pretty sight. 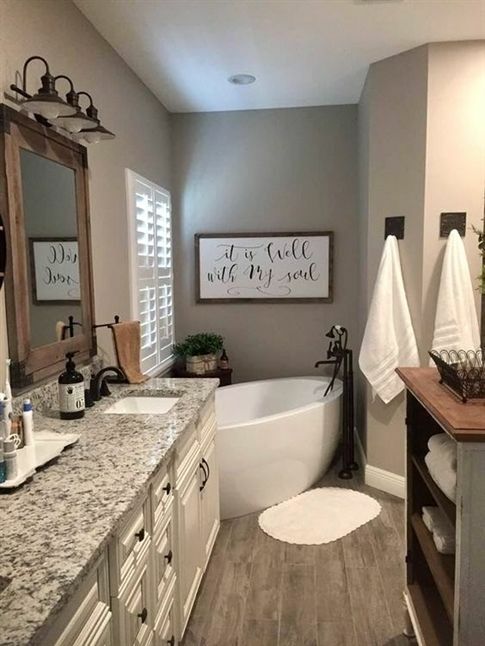 And warm look can also be seen even in the place of water like bathroom, with rustic or farmhouse look. 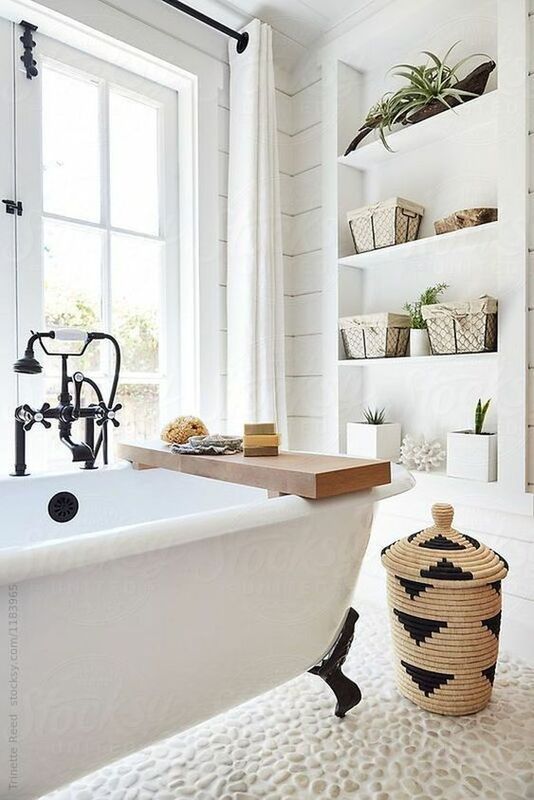 And here below are some pretty sights of warm bathroom for you especially who love farmhouse look. 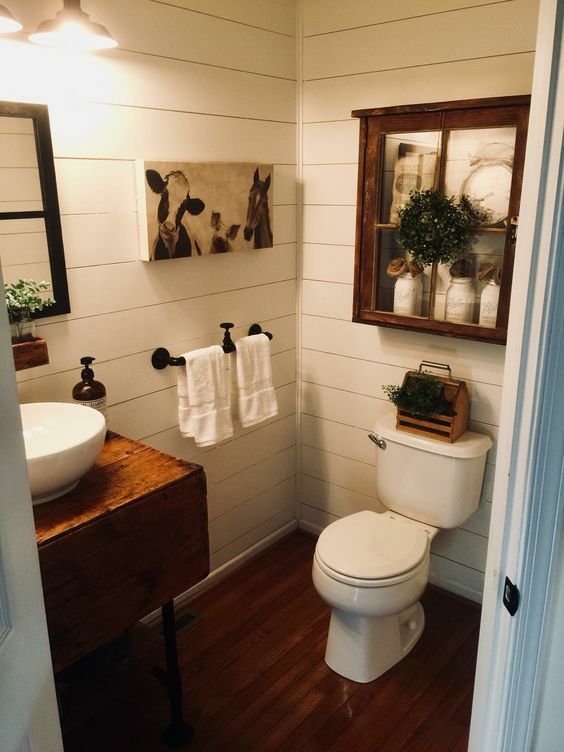 Putting many details in the room is a character that you usually find in a farmhouse inspired room, just like this one here. 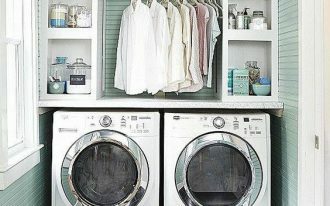 You can see the three floating open shelves with accessories and displayed towel storage. 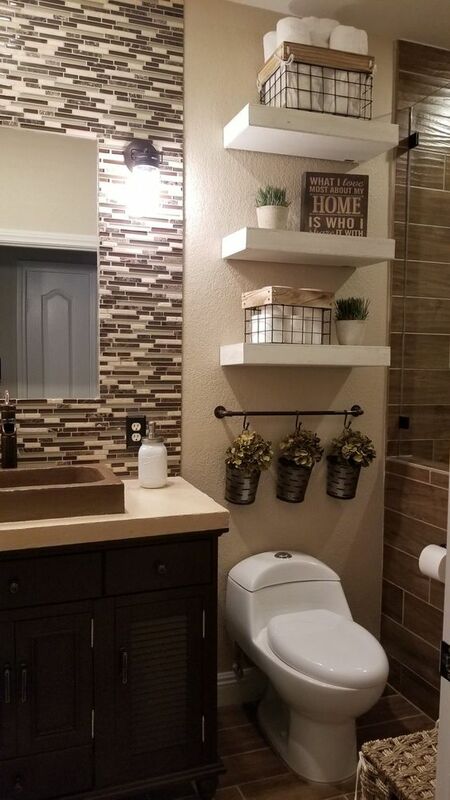 The dried plants accessories above the toilet also gives a traditional hint as well as the accessories. One of distinct characters of farmhouse room is the natural material in the room, especially wood. Seen in this picture, the room has floating wooden shelves that looks rough but still polished. Furthermore, the wall planks and cabinet give the room another natural vibes. Another commonly seen decoration in a farmhouse room is the warmth of living plants, almost like a bohemian room. 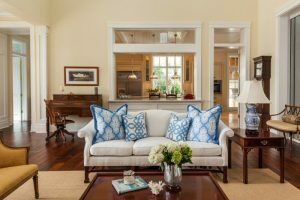 However, the sleek look on the wall, floor, floating shelves, and vanity table have shown a great deal character of warmth usually shown in farmhouse room. 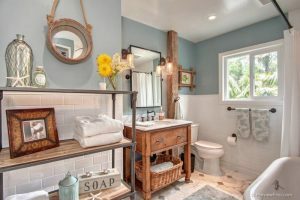 If you want a warm bathroom that will give you the calm you need anytime you want to run away to a colder room, farmhouse bathroom can give it to you. 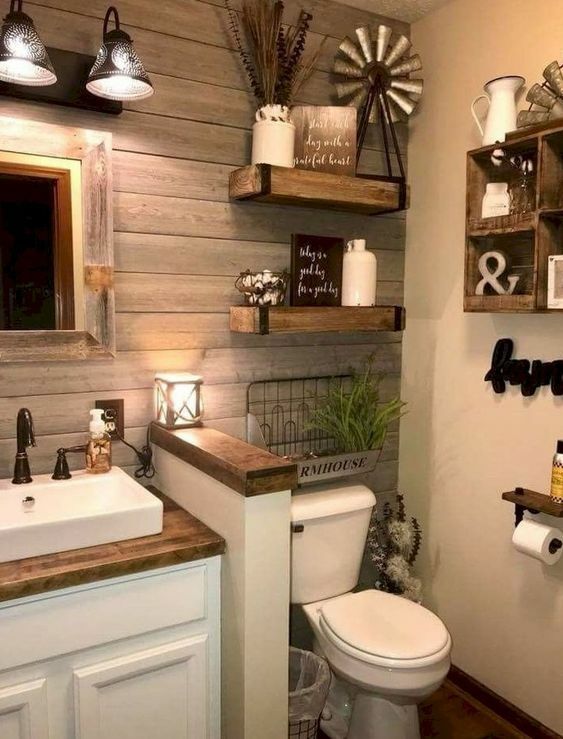 As seen in this picture below, the bathroom looks so warm with the dark wooden material on floor, vanity, and floating cabinet. The wall decorations are looking familiar and traditional. Antiques are always great help when you pursue traditional look, just as seen in the picture below. The vintage wall decorations bring a lot of traditional vibe. Put on the wooden shelves, they combine perfectly well for the traditional room. Combining look is always interesting. Decorating farmhouse look does not always mean you have to go to vintage. 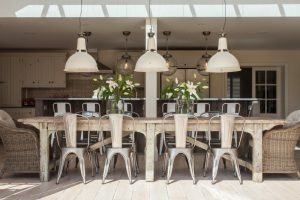 Even with modern vibe, farmhouse vibe can still be achieved. Seen in this picture here, the wooden material can mean modern, beach, or farmhouse. /but the minimal decoration and the simple option of shelves looks endearingly modern. As traditional vibe loves natural look, marble used on the vanity here looks just right on place. 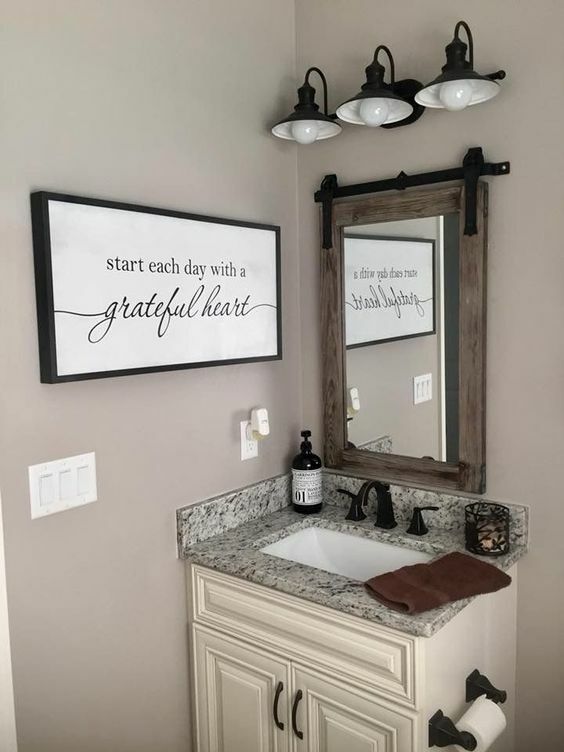 Match the brownish look on the floating wooden shelves, mirror frame, and copper sink, this marble finds its right place. 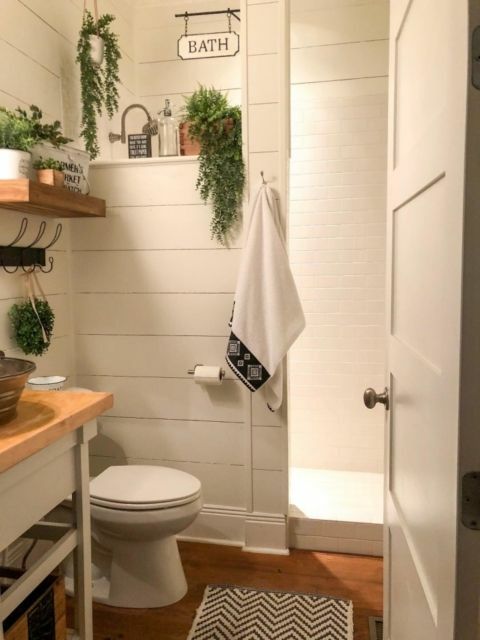 Even in a small bathroom, farmhouse look can be applied practically. 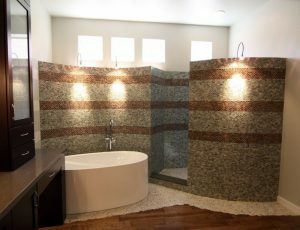 The natural vibe as well as the decorations can really support the look on the bathroom. 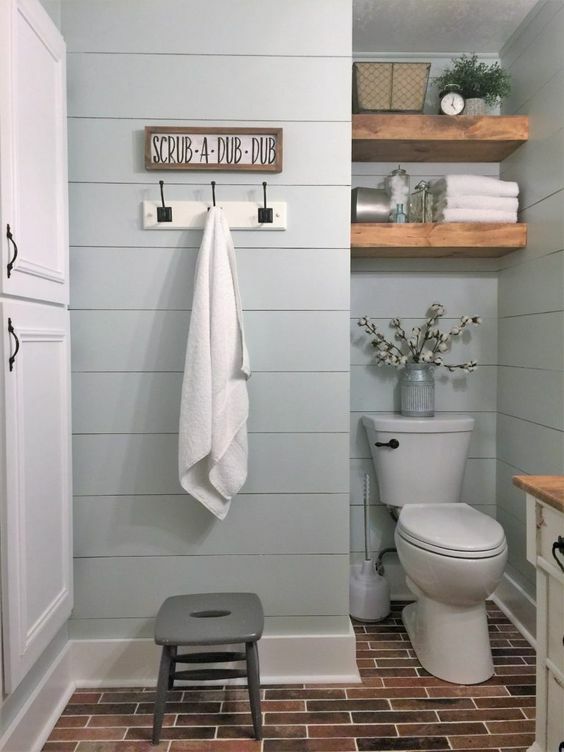 Not only in the bathroom, the small powder room can also holds the comfortable and warm farmhouse offers. 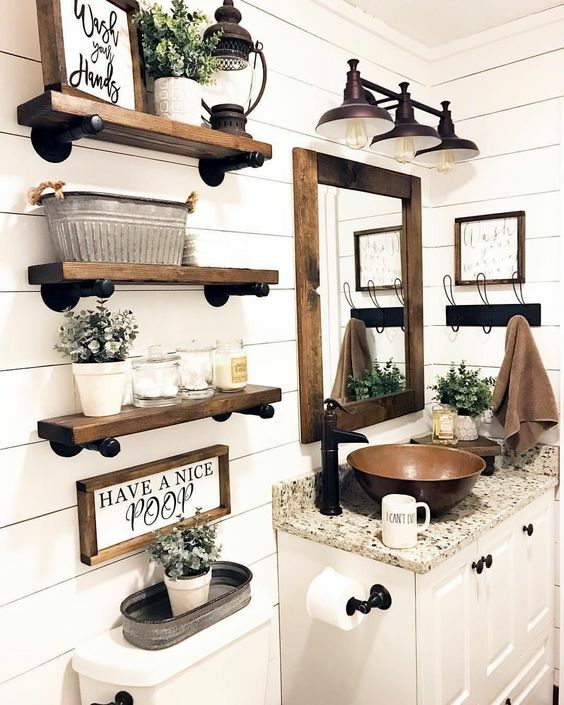 Seen in this picture, with the simplest wall planks, wooden cabinet, and traditional wall decoration, this one here has brought traditional look strongly. 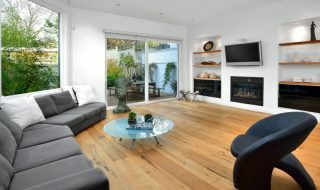 Similar to the previous ones, this one too shows an old and traditional look strengthened in a room. 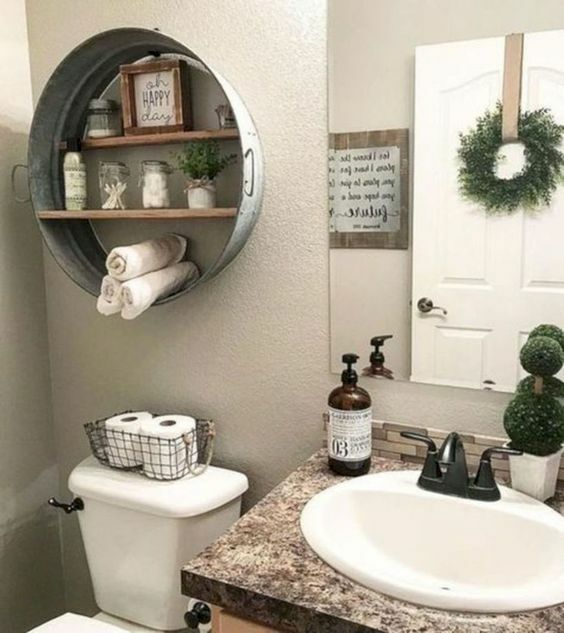 With brown marble top and refurbished but presentable zinc round floating shelves that hang above the toilet, this room gives warm welcome to those who come in.